Marianne Wheelaghan is a typically cosmopolitan Broughton resident. Edinburgh through and through, she was born to a Leith father and German mother, grew up in Pilrig Street and attended Broughton Primary School, as would her children years later. She remembers one teacher in particular – Miss Klein – a strict but fair Canadian woman who encouraged her first efforts at fiction. 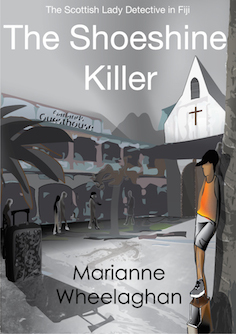 In adulthood, after studying German at university, Marianne travelled the Pacific as a teacher – of English literature and drama, and English as a second language. Fourteen years ago she returned to the capital, settling with her husband close to the Pilrig home of her childhood. As well as finishing a Master’s degree in creative writing at Lancaster University, and helping to teach courses for the Open and Edinburgh Universities, she has since combined running a guesthouse with running an online creative writing course which now tutors around 130 students of all levels, interests and ages per year. As that business became established, she began to find more time for her own writing, but it was really the death of her mother which provided the catalyst for a sustained literary project. In sorting through her effects, Marianne chanced upon a suitcase containing letters and diaries. Over time she realised that her mother’s life before coming to Scotland was something of a mystery, that many of the historical events and personal relationships through which she had lived as a girl in the Breslau of the 1930s and 1940s had hardly been discussed. There were gaps in the family tree, unexplained absences. A remote silence existed, and a little told history which a whole generation of postwar Germans had been unable or unwilling to share. Marianne decided to investigate this era, and in particular the way in which ethnic Germans had been displaced from their native Silesia as the border with Poland was redrawn under the Potsdam Treaty. The story she eventually found herself recounting was not based on one individual, but on many people, and would be a composite of fact and realistic imagination. 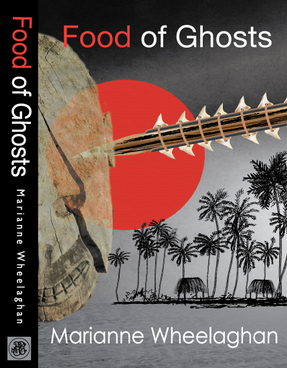 Though set between 1932 and 1947, as refugee fiction it remains highly relevant to the globalised, political and economic shockwaves driving migrations today. 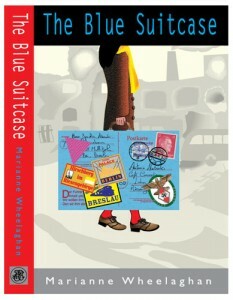 After two years’ writing, Marianne has now encapsulated and expanded upon her discoveries in a debut novel, The Blue Suitcase, which will be launched next week. It is published by Pilrig Press, a new venture established by herself and her author husband Mark in a bid to circumvent the endless delays, timidity, and small returns to be had from mainstream publishers. However, they are determined to maintain professional standards of production. In future they intend to take on other emerging writers – not necessarily the young, biographically enhanced or celebrity figures beloved of the media – and so make available more of that wealth of writing talent which she says is currently much overlooked. There is, perhaps, a recurring theme here: Marianne’s determination to focus on the world comprising individuals, not classes or commodities or demographic ‘fodder’.